Rome -- Syria's food security situation has significantly deteriorated over the past year and domestic agricultural production will further decline over the next 12 months if the present conflict continues, according to a new report published by the UN Food and Agriculture Organization (FAO) and the World Food Programme (WFP). 'Crop and livestock production, food availability and access to food have all taken an increasingly heavy toll over the last year,' said the FAO/WFP report issued after a Crop and Food Security Assessment Mission visited Syria between May and June. 'There is a limited window of opportunity to ensure crisis-affected families do not lose vital sources of food and income,' the two UN organizations said. The FAO/WFP Mission forecasts wheat import requirement of about 1.5 million tonnes for the current 2013/2014 season. Current wheat production is 2.4 million tonnes, some 40 percent less than the annual average harvest of more than 4 million tonnes before the crisis and 15 percent lower than the reduced harvest of 2011/2012. The livestock sector too 'has been seriously depleted by the on-going conflict,' the report says. Poultry production is estimated to be down by more than 50 percent compared with 2011, while sheep and cattle numbers have also significantly declined. Household food insecurity has been driven up by massive population displacement, disruption of agricultural production, unemployment, economic sanctions, currency depreciation and high food and fuel prices. The average monthly price of wheat flour more than doubled between May 2011 and May 2013 in several locations. With serious bread shortages across the country, this April WFP started distributing wheat flour. Food production has been hampered by high costs and reduced availability of inputs, damage to agricultural machinery and storage facilities, the threat of violence and the flight from the land by farmers. Some crops may not be harvested, the report warns. Irrigation canals and cotton mills, among other infrastructure, have also suffered damage. Wheat flour milling factories and bakeries are either no longer operating or are operating at low capacity. In addition, sanctions have exacerbated the situation, leading to shortages of agricultural inputs, crop-protection materials, diesel, and spare parts. There has been a very substantial exodus from Syria over the last 18 months, including 1.6 million refugees who have been registered and others who are awaiting registration. With the veterinary sector significantly eroded and vaccines in short supply, there is a serious risk that livestock diseases could be transmitted to neighbouring countries. In order to avoid a serious regional animal health problem, vaccines need to be provided and cold chains re-established in order to facilitate their distribution, the Mission recommends. Other recommendations include repairing rural infrastructure and providing inputs, tools, technical advice and provide access to land to those who have had to leave their homes. Since the beginning of this year, FAO has supported close to 70 000 people. Assistance provided includes animal feed, poultry packages, small ruminants, and seeds and tools. With available funding, FAO will be providing support to a further 216 000 people with similar assistance. Working with partner organisations in Syria, WFP reached 2.5 million people with food assistance in June, is planning to feed 3 million people in July and is ramping up logistics and operational capacity to feed 4 million people by October. In addition, WFP is providing food assistance to nearly one million refugees sheltering in neighbouring countries. 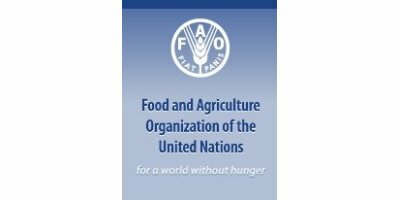 FAO has issued an urgent appeal for $41.7 million to assist 768 000 people. So far, only $3.3 million or less than 10 percent has been received. The funds are needed for seeds, fertilizer and veterinary supplies as well as cash-for-work programmes. Support to the coming planting season will be critical. Funding must be secured by August in order to provide farmers with fertilizers and seeds to plant in October. Without such support, many will be unable to harvest wheat until mid-2015. WFP is seeking to raise more than $27 million every week to meet the food needs of people affected by the conflict both inside Syria and in neighbouring countries. Under the revised Syrian Humanitarian Assistance Response Plan (SHARP), WFP's requirements for its operations inside Syria alone until the end of 2013 totalled $490 million. For the July - September period the WFP operation in Syria is only 48 percent resourced. No comments were found for Four million Syrians are unable to produce or buy enough food. Be the first to comment!